You may find it unbelievable but a baby girl was born with her heart outside her chest Wednesday in the state of Madhya Pradesh in India. The child of Basant and Sushma Padmakar has an extremely rare condition called ectopia cordis, a congenital malformation in which the heart is abnormally located either partially or totally outside of the chest, which occurs in 8 per 1 million births. Metro reported that 90% of those born with the condition are either stillborn or have died within three days. The father, who works as an electrician, vowed to do everything he can to save his baby despite poverty. "God has blessed us with a baby but I don’t know whether to call it a blessing or a curse that has fallen upon us," the confused and troubled dad said. "I am a poor man. We can barely afford two square meals a day but I will do everything to save my child," he added. "We are feeling so helpless." 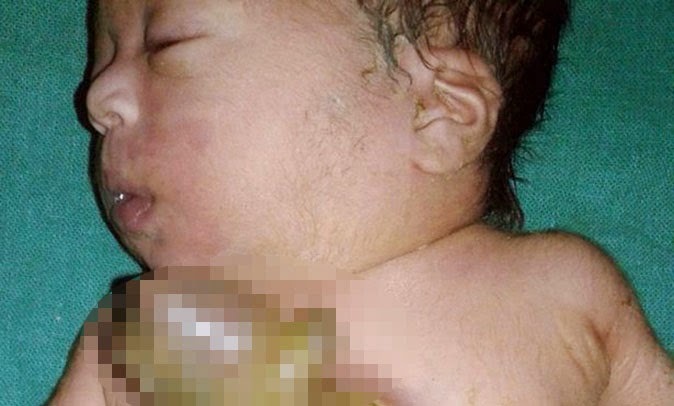 The district hospital where the baby was born lacked medical equipment for such a serious case so the patient was referred to a government facility in the city of Jabalpur. She was subjected to an operation last week, but updates on whether or not the child survived remain scarce.